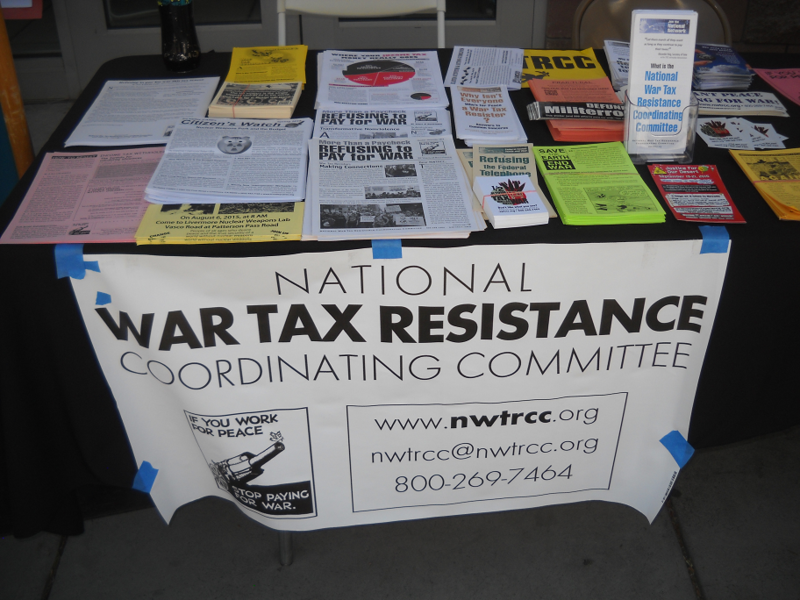 Support war tax resistance but not ready to participate in the coalition that forms the National War Tax Resistance Coordinating Committee (NWTRCC)? Please join us by asking your group to become an Organizational Endorser. Your support gives encouragement to the hundreds of individuals who risk economic consequences for their refusal to pay for war. Endorsers are local, regional, or national groups (from anywhere in the world). Endorsers are willing to publicly express support by being listed on the NWTRCC website and in printed materials. Endorsers will be added to the NWTRCC e-list for war tax related announcements (occasional), and we will share yours. Endorsement does not obligate the endorsing organization to provide any monetary support to NWTRCC, but please consider some of the options on the form below. Sign up to become an Organizational Endorser with the form below, or download the form as a PDF and sent it to NWTRCC by email or mail: PO Box 5616, Milwaukee, WI 53205. Yes, we would like to endorse war tax resistance and the work of the NWTRCC. Let us know how can we better work together.